Since its inception in 2005, YouTube has become one of the most influential platforms for pop culture consumption around the world. The Paley Center for Media invites you to join YouTube’s Chief Business Officer, Robert Kyncl as he highlights the most popular YouTube creators, trends, and how today’s biggest TV and movie stars are leveraging the platform to share their personal narrative. 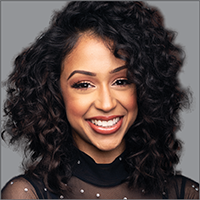 In this one-on-one conversation moderated by YouTube and television personality Liza Koshy, Kyncl will also discuss YouTube’s specialized vertical products including YouTube Music, YouTube Originals, and YouTube TV. 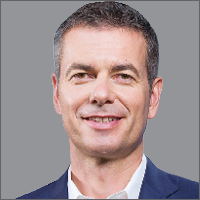 Robert Kyncl is the Chief Business Officer at YouTube where he oversees commercial, creative, and content partnerships for the platform. Previously, Robert was Vice President of Content at Netflix, where he spearheaded the company’s content acquisition for streaming TV shows and movies over the Internet. Liza Koshy is a breakthrough actor, host and content creator originally from Houston, Texas. The success of Liza’s comedic sensibility, physicality and characters are a testament to her authentic relationships and enduring engagement with her fans. As the fastest growing female creator on YouTube, she now has over 50 million fans across platforms. She is the star and Co-Creator of the hit YouTube Original LIZA ON DEMAND, host of Nickelodeon's DOUBLE DARE, and a host of MTV’s TRL franchise. You can also see her in HULU’s “Freakish” portraying high school bad girl Violet and as Aday in Tyler Perry’s 2016 theatrical hit “BOO! A MADEA HALLOWEEN.” In addition to these roles in film and television, Liza hosted the 2017 Golden Globes live pre-show, which had a record-breaking 2.7 million live Twitter viewers; interviewed President Barack Obama to encourage voter registration around the 2016 Presidential election and is the face of VOGUE’s MET GALA coverage. In addition to the television and film work, she has been a fantastic brand ambassador for many including Beats by Dr. Dre, VISA, Always (P&G), Nordstrom and NIKE. Media Council Members can view the live stream of this event beginning at 7:00 pm PT on Thursday, April 11.